CounterPunch, they asserted, was one such outlet. At no time did PropOrNot contact anyone at CounterPunch during their “research”. In the Post’s case, Timberg didn’t even bother to phone my co-editor Jeffrey St. Clair for comment, even though Jeff has written for the Post in the past. The whole thing adds up to one big ruse, orchestrated by PropOrNot and promoted, quite carelessly, by the Post. It’s obvious Timberg and his researchers did not conduct a quality background check on PropOrNot, whose practice of identifying “peddlers of Russian propaganda” is questionable at best. The group, according to The New Yorker, reached out to a number of publications prior to its launch, hoping to snag a little attention. The Post seems to be the only place that took the bait. Timberg, I’d hope, regrets he even responded to the the mysterious group, which claims to be made up of “computer scientists, statisticians, national security professionals, journalists and political activists, dedicated to identifying propaganda”. Well, they aren’t that good at it. It only requires a quick glance at PropOrNot’s social media presence to see how juvenile their tactics are, which should have raised a red flag immediately about their legitimacy. It’s obvious the group has an agenda – alleging Russia (and Jill Stein, even though she’s spearheading a recount effort?) manipulated the outcome of the 2016 election in favor of Trump. Apparently PropOrNot doesn’t realize the progressive sites they are going after are the very ones that are committed to holding Trump accountable over the next four years. After a brief email exchange, PropOrNot admitted it was wrong in listing CounterPunch and promptly removed us from their list of Russian pawns. In the initial email to the group I inquired why we were included in their list in the first place and provided them with evidence — a link to an article I wrote which was critical of Russia’s involvement in Syria — that CounterPunch was not in the pocket of Russians, nor were we Putin’s “useful idiots”. Thank you for reaching out! Your article above is eminently even-handed, unlike the propaganda we review on a regular basis. Your use of the term “pro-Russia left” is very interesting, because many of us place ourselves firmly on the left and that motivates a fierce opposition to Putin. Why do you think the “pro-Russia left” is even a thing anymore? What’s your take on that? Regardless, we will be removing your site in the next day or so, as per your request, and will follow up with you if you have any more questions. Also, we are reorganizing our site and our effort generally to be more narrowly focused in various ways, and are attaching a release which may provide additional context. If Truthout, Truthdig, Antiwar, BlackAgendaReport, etc, were to reach out to us like you did, things might well end up playing out very similarly to how this one has! We’ve asked people to do that on our site. Several have. Others have not. If someone contacts us and the resulting conversation makes clear that they understand, for example, how Putin’s Russia is a revisionist authoritarian wannabe-imperialist kleptocracy that uses ‘fake news’ as online propaganda, then we have a lot of common ground. That factors into our understanding of the merits, but more importantly, becomes a basis for constructive movement forward. Huh? That isn’t very sound methodology if you ask me, more like a shallow smear campaign manufactured by amateurs. PropOrNot will consider taking these sites off their blacklist, not based on the sites’ content but on whether or not they contacted PropOrNot directly and if “they understand” Putin is a bad hombre? The group lists these aforementioned sites right along RT and Sputnik News, both of which are openly funded by the Russian government and provide a point of view that’s in line with the Kremlin. It’s clearly a case of guilt by association. For the record, neither Jeffrey or I have ever appeared on RT or Sputnik, we’ve both turned down dozens of requests, in part because we are opposed to state-run media. In fact, both of us have been highly critical of Putin and Russia over the years and we don’t plan on curbing our critiques anytime soon. Additionally, we have gladly published a variety of Russian writers, such as Boris Kagarlitsky, many of whom are harsh critics of the regime. Even so, we don’t believe any American journalists who have appeared on these Russian-sponsored outlets should apologize for anything, and it certainly doesn’t mean those who have are Russian propagandists. Of course, this leads one to speculate whether this blacklist campaign is a government operation or just an insignificant group of befuddled Democrats, angered that Trump knocked Hillary off her perch. PropOrNot assures me they are not funded by the Pentagon or associated with the Hillary Clinton campaign or anyone else. However, The New Yorker reports that PropOrNot provided a preliminary report to staff of Democratic Senator Ron Wyden of Oregon. “[A]fter reviewing our report they urged us to get in touch with you and see about making it a story,” the group said. Without the Post giving PropOrNot undue credit, we’d likely have never heard of this shady little group or their work. PropOrNot’s blacklist is not just frivolous, it’s potentially dangerous as it directly discourages dissenting points of view like the ones we provide on a daily basis. Timberg and his editors dropped the ball and it’s our hope the Post issues a mea culpa in the form of a retraction and apology. JOSHUA FRANK is managing editor of CounterPunch. 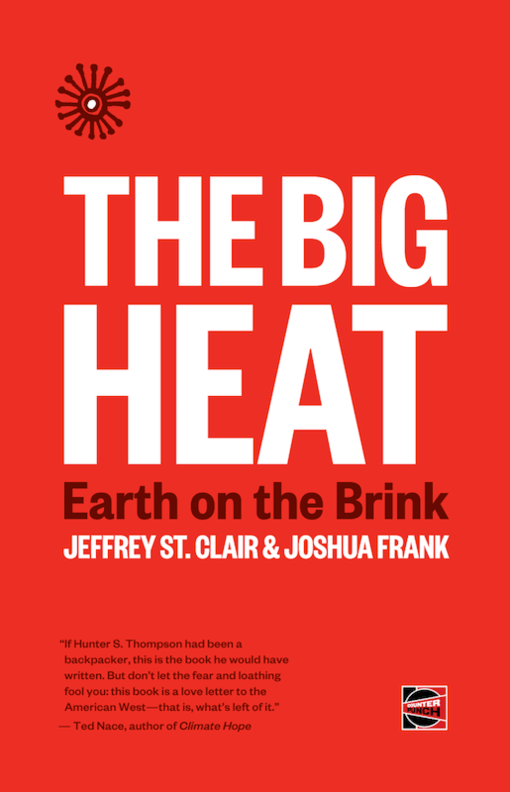 His most recent book, co-authored with Jeffrey St. Clair, is Big Heat: Earth on the Brink. He can be reached at joshua@counterpunch.org. You can troll him on Twitter @joshua__frank.